As I am very interested in French sailing in general, which is because I feel a strong connection with the sailing philosophy of our neighboring country, it´s mainly the Class 40 that attracts me most. Especially since I did had the chance to sail a Pogo 40 (read articles here, here and here). But France offers way more fascinating stories and it´s the peculiar topic of Figaro-sailing that was gripping my attention for weeks now. Plain and simple – Figaro and La Solitaire is one of the biggest things in sailing for France. I was lucky having had Marc Lombard, famous naval designer and mastermind behind the Figaro 2-boat talking about the origins of that boat (read Marc´s interview here), and now it´s British pro-sailor Sam Goodchild who was willing to answer some questions from a racing skipper´s perspective. 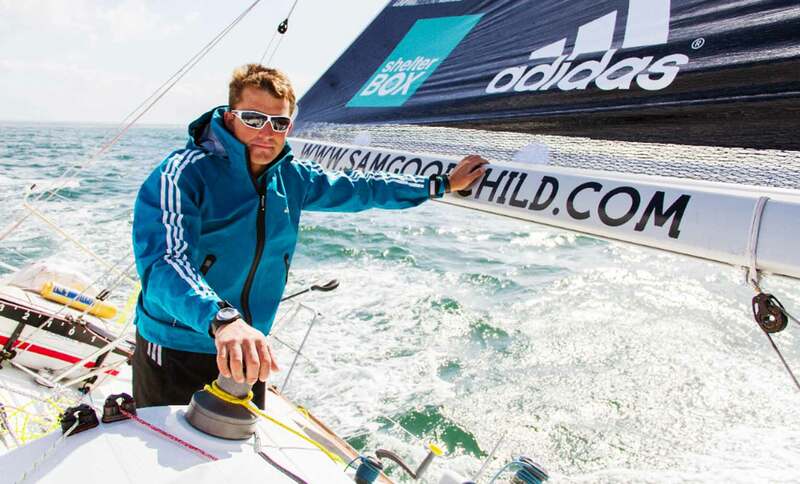 Sam Goodchild is an offshore sailor from the UK. He started dinghy sailing and attended Match Racing school, but, as he tells me “started offshore sailing before I left.” Sam is now 28 years of age and is working his way through the sailing world. One could say he is a child of the seas. Born in Bristol, his parents took him over to the Caribbean where they all lived for 8 years sailing on a cruising yacht. One could guess that somebody being brought up like this cannot live without feeling the motions of the seas. When asked why Figaro-racing he says that in his opinion Figaro currently marks the highest standard of offshore sailing that exists in the world. “It´s sailing with one design-boats”, Sam says, meaning that each and every boat in the circus is virtually the same. And here we go: The differences are just the sailor. It´s sailing skills which matters, not money. Equality is a great factor for him, but not the one and only. He says that financially Figaro-racing is much more accessible to sailors than other classes. Guess what? That may be the reason why Figaro has more competitors than elsewhere. Another great thing, he says, is that there is a large amount of successful offshore sailors from the bigger classes coming back from time to time: “To keep their hand in the game”, as he puts it. Sailing with the big names is attractive, I can imagine. When I was talking to Marc Lombard, designer of the Figaro 2 boat, he was referring to this kind of “Figaro-myth” too. I ask Sam what is this all about from his perspective. “Sailing nonstop for three or four days with some 40+ boats is a great thing to start with.” Sam mentins the area where the Solitaire takes place: Unpredictable, strong winds, the rocks, the tides and currents are both exciting, demanding and tiring. What matters most is that there is such little difference between the boats: It´s a close fight from the first to the very last mile of the race. The addiction to this style of racing is like a drug. Sam says: “I think Jean le Cam once said something along the lines of: “It´s impossible to describe it – you can only go and do it.” If this is for real, I can imagine few people who remain completely untouched by this virus. I ask Sam who haven´t been racing this year´s edition that took place a week ago, how many times he did find himself in the midst of the starting field. It has bin the year 2011 when he had his first Solitaire and since then repeated this race three times. His result has been 11th place of the overall race in 2013 – which may sound not that great – but anyhow that was the best result of a British sailor in 38 years. 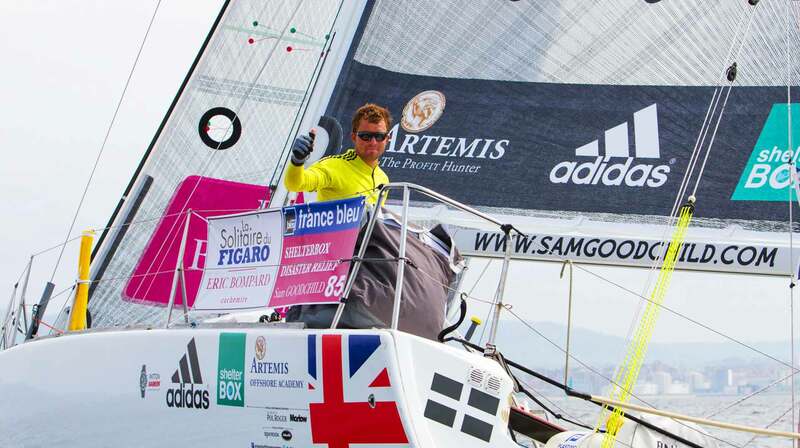 Sam also attended La Tour de Bretagne and one Transat race in the Figaro. 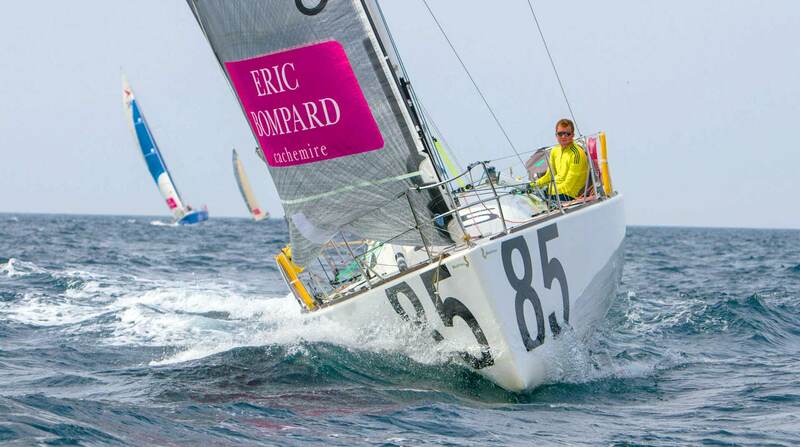 He also sails on IMOCA60 boats (here´s an interview with Lizzy Foreman on her first experiences on an Open 60 class racing yacht) and had multiple races on Class 40 boats like the RORC Caribbean in 2014 where he was part of the winning crew. “Let´s talk about the Figaro 2 racing yacht itself. What are her main characteristics in terms of sailing?”, I asked Sam. “It´s a simple boat. I really like it”, is his answer. A standard rig and keel. Boat equipped with twin rudders, two jibs and two symmetric spinnakers. “The idea is to keep it simple”, says Sam. I understand: This is good for budget and is also putting the emphasis on the sailors. Looking back to my interview with Marc Lombard that´s a confirmation of what Beneteau and the yacht designer wanted from first hand. I ask Sam about the nice sides of the boat. “She is a very nice ship because she is simple and very easy to manage.” But as with every thoroughbred racer, Sam says, she is also uncomfortable. A Figaro 2 is a wet sailing vessel which makes it especially uncomfy once heeled over in waves. 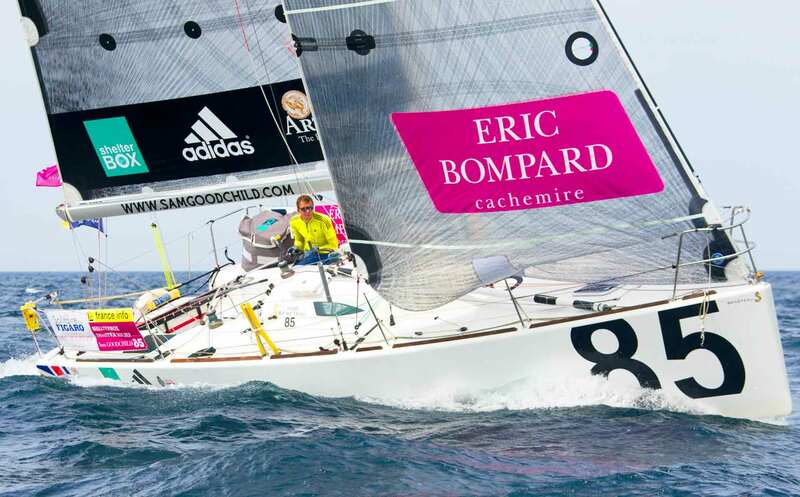 I tell Sam that the Eric Bompard Solitaire du Figaro is virtually unknown in Germany – “Can you explain the core fascination of that race?” The answer again, is quite simple: Sam says that there are some 40 one design-boats racing offshore for three or four consecutive days. “It´s impossible to find a race like this anywhere else in the world.” A lot of fun combined with an incredibly demanding racing. A tight racing field. Every day the cards get riffled – everything is set back to zero and starts over from scratch. Nobody can rest for a second. And then the seas: Solitaire takes place in some of the most interesting weather and tides around. “There’s nothing about Solitaire not to like”, says Sam. Sam mentions that the Solitaire is a demanding race. “In what matter?” He says, it´s the task of “being able to managing yourself both mentally and physically.” People can quickly overestimate their own capabilities and underestimate this fact. “You regularly see the inshore and offshore results change a lot.” Not seldom there are people who are good for one or two days and then they start to loose places on the last days. Sam, thanks for sharing your opinions and insights – I wish you a good remaining training and racing season and look forward to receiving news on your career as pro sailor. Here is Sam´s Website. More Information on the Solitaire Race on the official website here. Next Post	Marine Appliances by Dometic: Shopping Time!